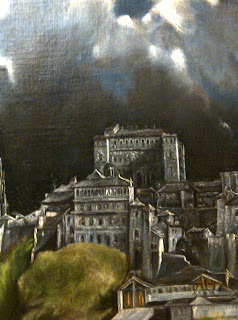 El Greco's View of Toledo from the Metropolitan Museum of Art's collection, is an engrossing landscape that captures the essence of this city while proclaiming its grandeur through the artist's unique and thoroughly modern vision. There is a very interesting article, "View of Toledo" by distinguished scholars Jonathan Brown and Richard L. Kagan which refers to this painting as one of the most evocative landscapes ever to be painted. Brown and Kagan argue that El Greco might have painted this landscape as part of a propaganda campaign to encourage Philip II to reinstate the court in Toledo after he abandoned it in 1561. 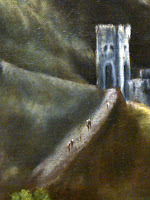 Although the viewer can identify the landscape as Toledo due to inclusion of the royal palace, Alcazar and the Cathedral on top of the hill, the Alcantara Bridge crossing over the Tagus River in the middle left of the canvas and the Castle of San Servando to its left, El Greco has taken artistic license to rearrange the architecture and walls of the city, even playing with the topography to create this perfect subliminal landscape. 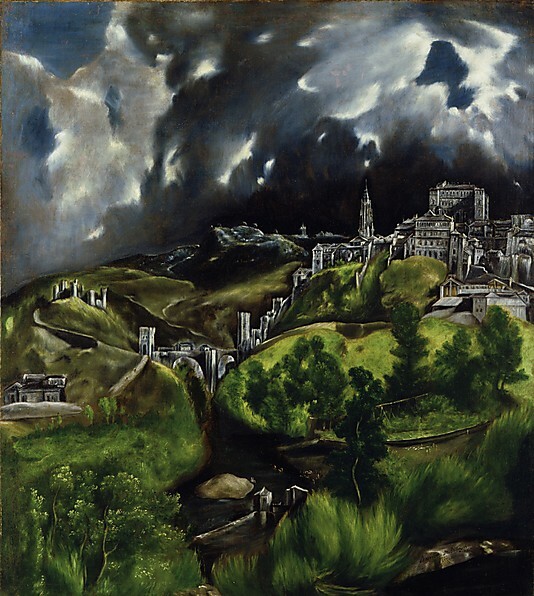 The painting seems to be drawn from the medieval tradition of emblematic city views, exhibiting the wealth and the attributes of a city,which according to Brown and Kagan El Greco might have painted as part of the civic project to reinstate the economy and power of Toledo to its former glory. Toledo, which was the capital of Spanish Catholicism till Philip II left it for Madrid, has been referred to as the Imperial city since it was reconquered from the Moors more than 900 years ago. Alfonso VI, after his reconquest of the city made Toledo the capital and confirmed the primacy of the archbishop of Toledo in 1088 ensuring a tie between the ruler of temporal and spiritual realms of Spain. Although for hundreds of years, the Archdiocese of Toledo was the richest in Spain and one of the wealthiest in Christendom, in order for its preeminence to continue, the partnership of church and state was vital. In the 1570's the city council in conjunction with the archbishop started a plan of urban reform to turn this medieval hilltown into a modern city. El Greco has provided us with interesting symbols that recall the past and contemporary attributes of Toledo we can try to analyze in order to decipher his intentions. At the top of the hill, the cathedral tower and the Alcazar take the place of prominence symbolizing the alliance of church and state. El Greco has rearranged their placement and has put the Cathedral in front of what was once a Moorish fortress, maybe in order to regale the reminder of a Muslim past into the back. The Alcanta bridge, originally built by the Romans testify to the ancient past of Toledo. Besides its historical and spiritual significance, there are traces of the present attributes of Toledo as well. There are figures in the water that appear to be fishing. 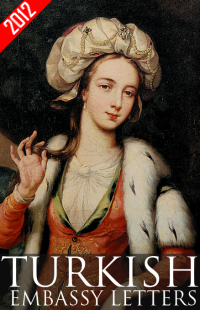 The group of people on the banks of the river, Brown and Kagan suggest may be involved with the fulling of the cloth when it was washed, beaten and dried before being dyed. They state that this was done in small mills around the Tagus at the time when Toledo was a big manufacturing center with a cloth industry that was vital to its economy. All the different parts of the landscape come together to inform the viewer of the wonders of sixteenth century Toledo. 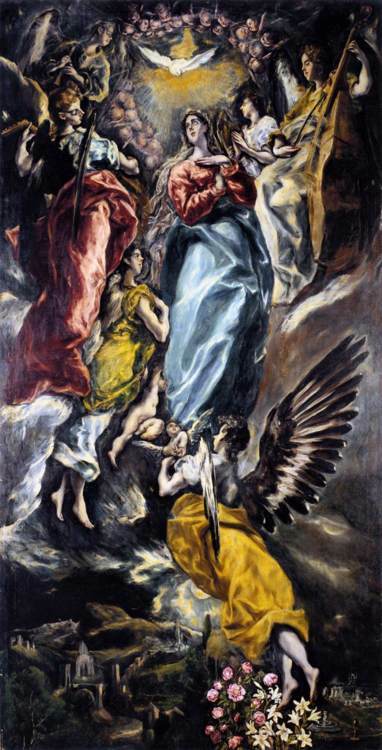 El Greco signed this painting that was in his studio at the time of his death. There seems to be a dispute as to whether this was the first landscape in Spanish painting but this does not diminish its originality or it being a precursor to modernist art movements in the 19th century. Although we are not privy to the exact circumstances that incited the production of this work, we can find the same landscape utilized at the bottom part of two of El Greco's later religious paintings. Whatever his motivations, in his unprecedented style, El Greco once again has managed to transform the conventional pictorial tradition of medieval engravings into a unique visual expression that has been a source of admiration and inspiration to this day. Is it any wonder that View of Toledo has been observed to evoke the Fauves and Expressionists as well as Cezanne? 1 Jonathan Brown, and Richard L. Kagan, "View of Toledo," Studies in the History of Art.Vol. 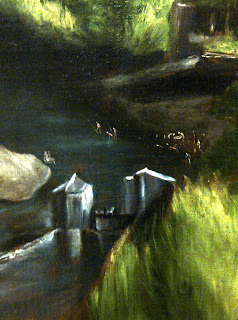 11, Washington: National Gallery of Art, 1982, p. 19-29. I am doing a Spanish project where we have to comment on a painting of a certain artist. I chose El Greco and his painting, a view of toledo. I did not really know what to say because i am not an artist myself, so this article was really helpful, and interesting too. Thank you! I am so glad to hear it was helpful. Please remember that art history is all about looking and you don't need to be an artist to understand it, only observant. Thanks for showing the people in the painting. El Greco was so good at portraiture and yet in the View of Toledo, he is looking at the whole of people's lives and perhaps their vulnerability and nonchalance at an approaching storm. 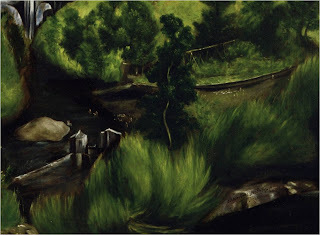 The people in the river and on the bridge seem bathed in sunlight and unaware of the dark clouds we viewers can see. Such drama. I love it and love being able to read it in my own way and encouraging kids to do the same! Thank you for your comment. I too love the expressive quality of El Greco's work, such depth, such emotion - so open to personal engagement. If only kids could just look and let themselves think and feel in front of a work of art, what a wonderful world it would be - I commend you on your efforts.